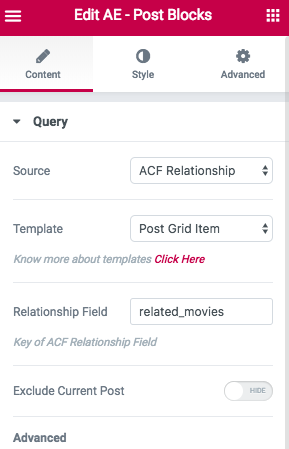 This will require you to create Relationship Field for Post/Page/CPT using Advanced Custom Fields (ACF) plugin. 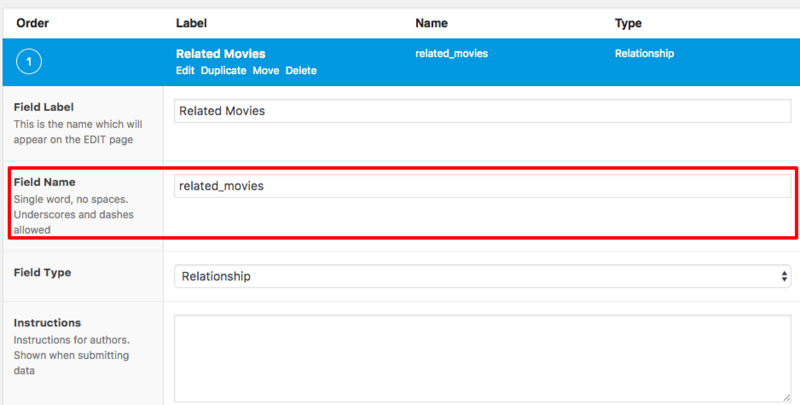 Relationship Field: Name of the Relationship Field that you have created in ACF. Also set "Return Format" to "Post ID". By default, it is set to Post Object. See the following screenshot for configuration setup.